Abseil down a rushing waterfall. Jump into the pristine waters of a pool far below. Scramble over river rocks. Rope climb up a cliff wall. 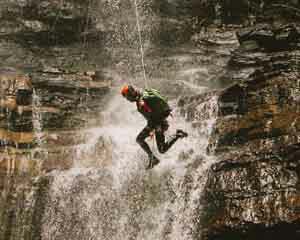 Put all these activities together and you've got canyoning—the outdoorsman's ultimate sport. 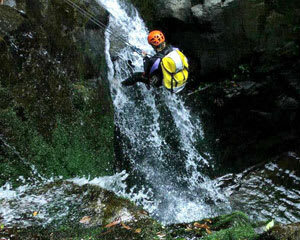 Canyoning combines a variety of skills and thrills for a truly dynamic experience. 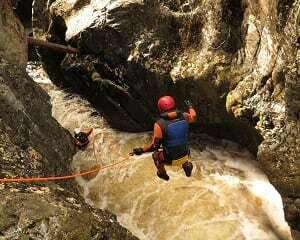 Test your stamina and enjoy the great outdoors on a canyoning adventure! 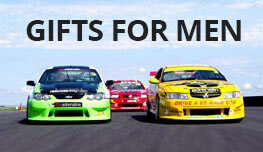 When in search of places to go canyoning, Sydney is a great launching point. 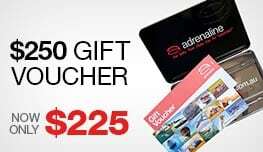 Just a short drive from the city, canyoning Blue Mountains or canyoning South Coast experiences offer big adventure and vivid sights. 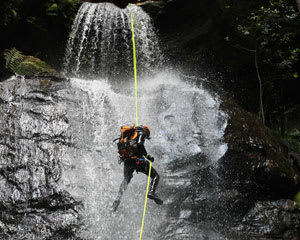 Most canyoning tours operate in the warmer months, but dry tours are available in the cooler seasons as well. In either case, you'll be surrounded by the sandstone cliffs of the Blue Mountains or the verdant sub-temperate rainforests of the South Coast. These spectacular canyons are the result of millions of years of water erosion. 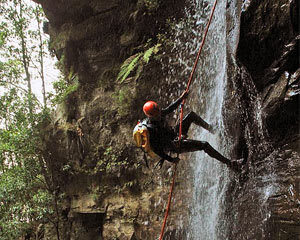 There's no better way to experience these marvelous sights up-close than canyoning! You'll meet up with your fellow canyoners and bus in together to the starting point. Here, get a safety briefing and, depending on your excursion, a short training session for skills like abseiling. Once you've donned your wetsuit, helmet, harness and pack, you're ready for your canyoning adventure to begin. 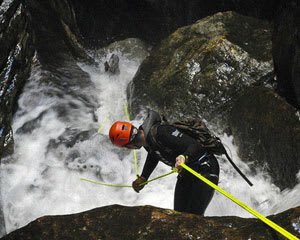 Using any methods necessary to tackle the canyoning challenges that face you, you'll make your way down the canyon. A mix of abseiling (rappelling), rock climbing, water jumps, wading, swimming and hiking will see you safely to the other side. You'll get a real workout in the process! Don't forget your (waterproof) camera—canyoning offers unique photo ops for adventure photographers. 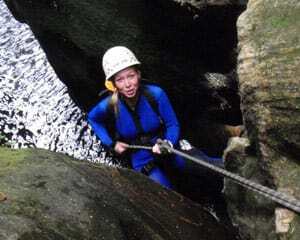 Canyoning requires at least a moderate level of fitness, but there are tours suited for people of all experience levels. Choose a half- or full-day adventure depending on how much of a challenge you're up for. 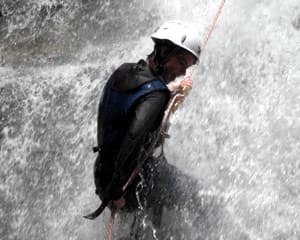 Once you've tested your canyoning skills on a beginner tour, you'll be itching to take on a tougher challenge with more abseils, climbs and jumps. 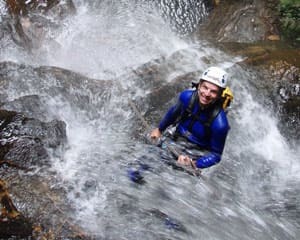 When your day of canyoning is done, you'll be exhausted but happy! There's nothing like the feeling of having successfully tackled the raw elements. Depending on your excursion, it may be time for lunch or time to head to the local pub to live over the incredible experience of your canyoning adventure.